Maybe it’s been a while since you took a good hard look at your art collection or your family photos and keepsakes. Consider the following: Are your mats fading? Has there been a breach in security (do you see a little bug between the glass and mat?) Is your artwork covered by clear glass with no UV protection? Does it appear the frame’s corners are no longer holding their own? Does the framing still compliment your style and furnishings from decades ago? If you answered yes to any of these questions it may be time for a “Framelift”. Bring them by the Frame Hut & Gallery where we can help you assess your framing projects, clean them, replace the glass, or even give them a total makeover! From the youthful desire to see “everything pink” to the more sophisticated color schemes of adulthood, we are naturally drawn to color. 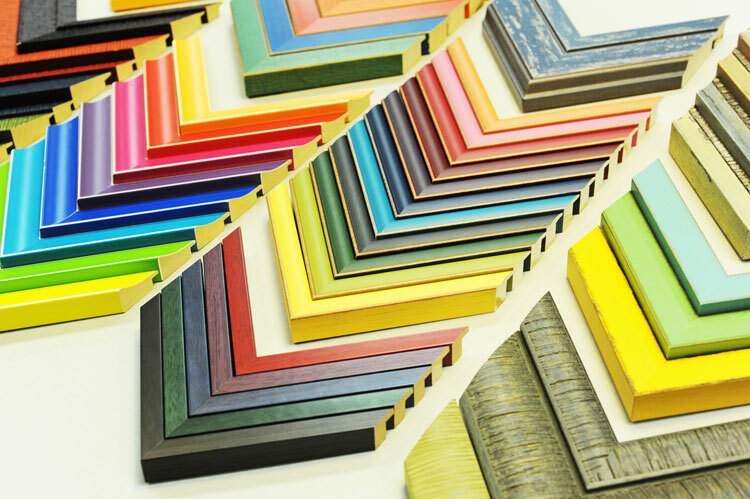 At The Frame Hut & Gallery we offer colored frame choices that work with hues from any decor to create a cohesive theme in any room. Used on their own or as a companion to a larger frame for just a hint of color these lively mouldings can transform your life, or at the very least, your walls.